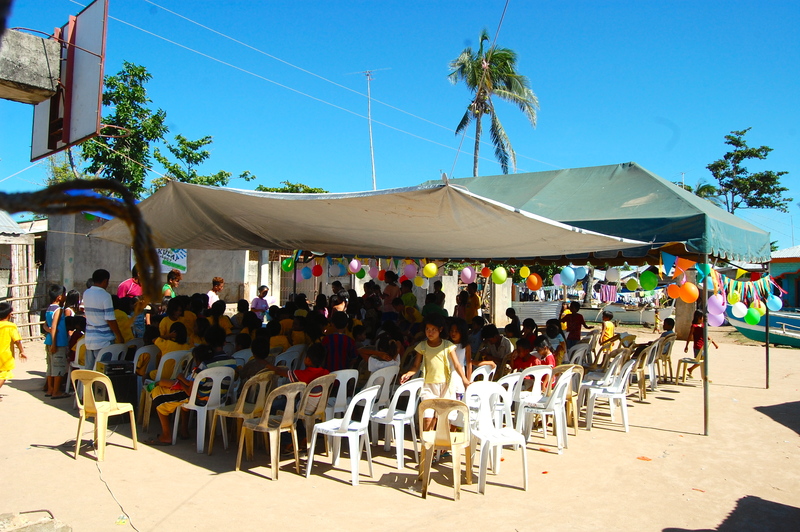 Last Saturday at this time, we were just arriving at the venue of our Children’s Fair in Daanbantayan. After close to five hours on the road (some traffic + pistops for food and supplies included), we set foot in a coastal community of fisherfolk. The helpful Vice-Mayor, our direct contact to the community, led us to the venue, waving directions to us on foot, as our van manoeuvred the small path to the community. It was a simple place, very basic. Houses surrounded the area. Off to the side, we had a view of the water. Fishing boats parked along the shore. The sun beat down. A lot of people – kids and adults – were sitting, standing or walking around, many of them curious about our arrival. We were in San Vicente Poblacion. In a paved clearing among the houses was where we were to gather the children for the afternoon. It seemed to be their community basketball court, on which stood one tent, a stretched out tarp for extra shade, and an unfinished stage. Next to the court was a small chapel, basically a room with a couple of tables inside. In addition to the area, 100 chairs and a sound system, all we had for the big event were sacks and boxes of supplies in our van, our eagerly supportive driver for the day, Ariel, and the hope of three travellers – my Mom, Milan and me. This was going to be a challenge. And I instantly fell in love with where we stood. I thanked God with a big smile. All this was more than enough! And I knew He was right there with us. A wave of excitement rushed over me. We had never brought the Children’s Fair thisclose to the homes of the children we played with. Most of the times the children would have to travel, a bit – by jeep or on foot, to come to our activities. We were never so deep into their community, except during the times we worked at government shelters. But still, this was different. This was their home base, their turf. These kids grow up here, play in these corners, celebrate their town fiesta. This was going to be special. We’ve brought the party to their very homes! Someone began to pull out plastic chairs. Mom, Milan and I sat with the Vice-Mayor and a local mother. We surveyed the space. In just a few hours, we’d have one hundred children running around, experiencing their first Children’s Fair. And though we had hours to the start of the activity, our special guests – the children of this community hit hard by the storm last year – were already starting to arrive. It was going to be a beautiful day! 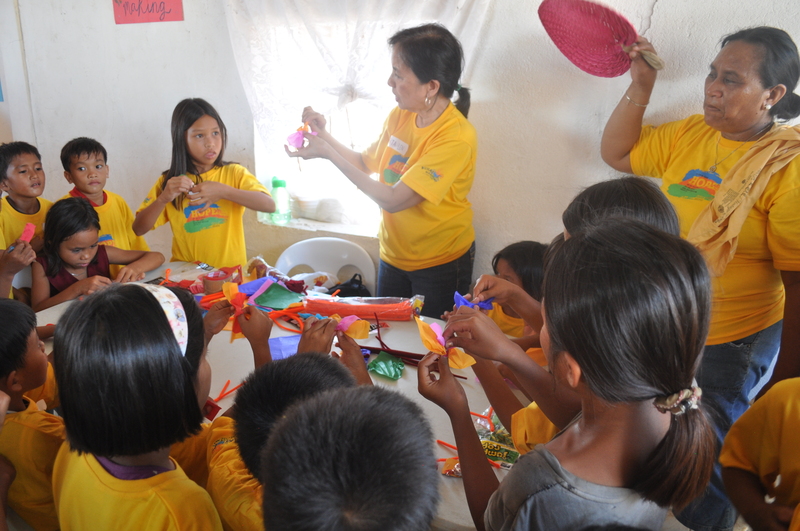 More on the Children’s Fair in Daanbantayan soon! Previous Post North of the island we go!